A Quinnipiac poll released last Friday has New Yorkers supporting marijuana legalization by a narrow majority. The poll found 51% supported marijuana legalization, with 44% opposed. That puts New York in line with the rest of the country, where most post-election polls are showing support for legalization at over 50%. Those polls come in the wake of victories for the Amendment 64 and Initiative 502 marijuana legalization initiatives in Colorado and Washington, respectively. Gov. Andrew Cuomo has been pushing marijuana decriminalization, but the Quinnipiac poll suggests New Yorkers are ahead of their political leaders on the issue of marijuana reform. New York City has achieved notoriety as the marijuana arrest capital of the world, with the NYPD arresting tens of thousands of mainly young black and brown men each year. Despite recent reforms, those numbers have yet to significantly decrease. In a report released last month, Human Rights Watch found that between 1996 and 2011, the NYPD arrested more than 563,000 people for possession of marijuana in public (typically after police intimidate them into emptying their pockets and revealing their baggies), including nearly 100,000 in 2010 and 2011 alone. Neither Mayor Michael Bloomberg nor the NYPD "has ever provided a detailed justification for the high number of marijuana arrests, suggesting only that the arrests improve public safety," the report noted. But the report also examined the subsequent criminal histories of the 2003 and 2004 cohorts of New York City pot possession arrestees. It found that more than 90% of them had not subsequently been arrested on a felony charge. The Quinnipiac poll found majority support for legalization in New York City (54%) and its suburbs (50%), and a plurality (49%) for legalization upstate. Majorities supported freeing the weed in every age group except seniors, while majorities of Democrats (56%) and independents (57%) also favored legalization. Only 33% of Republicans did. Men were more likely to support legalization (56%) than women (47%), while people with college degrees were more likely to support it (58%) than those without (47%). People who identified themselves as belonging to a religious denomination had levels of support ranging from 46% to 48%, while 70% of those who said they had no religion supported legalization. Gov. Cuomo has been talking decriminalization. Given last month's election results and this month's polling, perhaps he should raise his sights. The poll contacted 1,302 New York state voters between December 5 and 10 and asked"Do you think that the use of marijuana should be made legal in New York State, or not?" The poll has a margin of error of +/- 2.7 percentage points. I have criticized the ease with which some media outlets and even some reformers have accepted the argument made by prohibitionist advocates that courts are certain to overturn the Washington and Colorado marijuana legalization initiatives, or their regulatory systems at least, based on federal supremacy. Most legal scholars in the news have expressed skepticism that a preemption challenge of the laws, as it's called, would succeed, though we can't know for sure until and unless that goes through the courts. Another argument that's been made is that legalization would violate US obligations as signatories to the UN's international drug control treaties, the 1961 Single Convention on Narcotic Drugs and two others. While it's not clear that state legalization existing alongside continuing federal prohibition including those states would violate the treaties, the argument is somewhat more tenable with respect to the possibilities of federal legalization or even of federal exceptions to prohibition in those states. My understanding of the treaties is that they discourage but do permit legal drug possession (given a public health system in place for addressing drug abuse), but not legal production and sales excepting medicine and research. What happened is that the Morales administration sought a modification to the Single Convention to address the coca issue, but was rebuffed. So late last year, they withdrew from it. Then they announced they would rejoin the treaty on January 1, but with "reservations" stating their non-participation with respect to the coca provision. If one third of member nations object to Bolivia's readmission to the treaty -- by the end of this year, if I'm not mistaken -- they can be prevented from rejoining it, and potentially have problems in some regulatory areas. 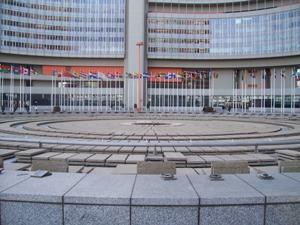 But other countries would suffer problems from that as well, and it is unlikely. The US could do that too. Or, and better, we could seek the revision of the treaties to permit legalization. The US would be powerful enough to pull that off, and the rest of the world is mostly concerned with their own interests and are not clamoring for the continuation of marijuana prohibition in the US in any case. One way or another, it will be pretty easy to handle the drug treaties, once the political will exists here to enact legalization under our own laws. The treaties are a valid issue, but not a difficult one to surmount. In an interview last Friday with ABC News' Barbara Walters, President Obama said going after marijuana smokers in states that have legalized it should not be a "top priority" of federal law enforcement, but he failed to address how the federal government would respond to efforts by state governments in Colorado and Washington to implement taxation and regulation schemes for legal marijuana commerce. 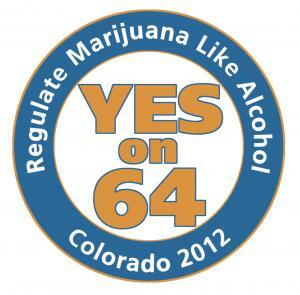 Amendment 64 in Colorado and Initiative 502 in Washington were both approved by voters in last month's elections. Their provisions legalizing marijuana possession (and cultivation in Colorado) are already in effect, but officials in the two states are now charged with crafting those taxation and regulation rules. The looming question is what the federal government will do about that. 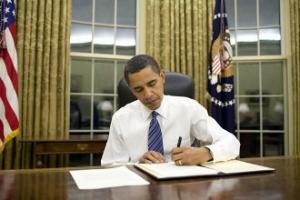 President Obama's comments Friday did not shed new light on that topic. "We've got bigger fish to fry" than going after individual pot smokers in Colorado and Washington, Obama said. "It would not make sense for us to see a top priority as going after recreational users in states that have determined that it's legal." That is in parallel with the administration's approach to medical marijuana. It has not gone after individual patients, but in the past two years, the Obama Justice Department has vigorously and aggressively targeted medical marijuana cultivators and dispensaries for raids, threats of asset forfeiture, and, more rarely, federal criminal prosecutions. Obama also told Walters that he does not support marijuana legalization "at this point," but he added that shifting public opinion -- polls are now showing majorities in favor of legalization -- and questions about how to allocate limited government resources are good reasons to seek to find a middle ground on dealing with the weed. The president also said he had asked Attorney General Eric Holder and the Justice Department to look into how to resolve the conflict between state and federal laws. 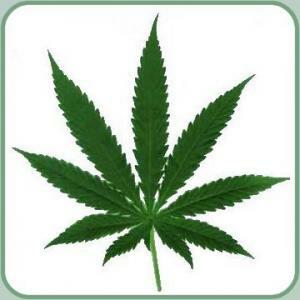 Marijuana remains a Schedule I drug under the federal Controlled Substances Act. "I head up the executive branch; we're supposed to be carrying out laws. And so what we're going to need to have is a conversation about is how do you reconcile a federal law that still says marijuana is a federal offense and state laws that say that it's legal?" Obama said. Holder said last Wednesday that he expected a Justice Department review to be completed "relatively soon." While Obama notoriously partook of the weed in his youth, being a leading member of the "Choom Gang" of serious recreational puffers, according to biographer David Maraniss, he has downplayed his own use and not favored marijuana legalization. He told Walters Friday he had regrets over his youthful behavior. "There are a bunch of things I did that I regret when I was a kid," Obama told Walters. "My attitude is, substance abuse generally is not good for our kids, not good for our society. "I want to discourage drug use," he added. And then there were two. On Monday, December 10, 2012, Colorado Gov. John Hickenlooper signed an executive order certifying last month's Amendment 64 victory and legalizing the use, possession, and limited cultivation of marijuana by adults 21 and over. Colorado now joins Washington as states where voters approved marijuana legalization last month and where the will of the voters has now become law. In both states, it is only the possession (and cultivation in Colorado) parts of the new laws that are now in effect. Officials in Denver and Olympia have a matter of some months to craft and enact regulatory schemes for commercial marijuana cultivation and distribution -- provided the federal government does not seek to block them from doing so. While the federal government may seek to block implementation of regulations, it cannot make the two states recriminalize marijuana possession. And the states have no obligation to enforce federal marijuana laws. In both states, however, it remains illegal to sell marijuana or cultivate it commercially pending the enactment of regulatory schemes. Still, pot possession is now legal in Washington and Colorado. "Voters were loud and clear on Election Day," Hickenlooper wrote. "We will begin working immediately with the General Assembly and state agencies to implement Amendment 64." In addition to the executive order certifying the election results, Hickenlooper also signed an executive order establishing a 24-person task force charged with coming up with a way to implement Amendment 64's taxation and regulation provisions. The task force consists of government officials and other stakeholders, including representatives of medical marijuana patients, producers, and non-medical consumers, and will make recommendations to the legislature on how to establish a commercial marijuana market. "All stakeholders share an interest in creating efficient and effective regulations that provide for the responsible development of the new marijuana laws," the executive order said. "As such, there is a need to create a task force through which we can coordinate and create a regulatory structure that promotes the health and safety of the people of Colorado." Issues that will be addressed include: the need to amend current state and local laws regarding the possession, sale, distribution or transfer of marijuana and marijuana products to conform them to Amendment 64's decriminalization provisions; the need for new regulations for such things as security requirements for marijuana establishments and for labeling requirements; education regarding long-term health effects of marijuana use and harmful effects of marijuana use by those under the age of 18; and the impact of Amendment 64 on employers and employees and the Colorado economy. The task force will also work to reconcile Colorado and federal laws such that the new laws and regulations do not subject Colorado state and local governments and state and local government employees to prosecution by the federal government. "Task force members are charged with finding practical and pragmatic solutions to the challenges of implementing Amendment 64 while at all times respecting the diverse perspectives that each member will bring to the work of the task force," the executive order emphasized. "The task force shall respect the will of the voters of Colorado and shall not engage in a debate of the merits of marijuana legalization or Amendment 64." Marijuana legalization supporters cheered the issuance of the executive orders. "This is a truly historic day. From this day forward, adults in Colorado will no longer be punished for the simple use and possession of marijuana. We applaud Gov. Hickenlooper for issuing this declaration in a timely fashion, so that adult possession arrests end across the state immediately," said Mason Tvert, one of the two official proponents for Amendment 64 and newly appointed communications director for the Marijuana Policy Project. "We look forward to working with the governor's office and many other stakeholders on the implementation of Amendment 64," Tvert continued. "We are certain that this will be a successful endeavor, and Colorado will become a model for other states to follow." Not everyone was as thrilled as Tvert. Both US Attorney for Colorado John Walsh and Colorado State Patrol James Wolfinbarger issued statements Monday warning respectively that marijuana is still illegal under federal law and that driving while impaired by marijuana is still a crime. "The Department of Justice is reviewing the legalization initiatives recently passed in Colorado and Washington state," Walsh said in his statement. "The Department's responsibility to enforce the Controlled Substances Act remains unchanged. Neither states nor the executive branch can nullify a statute passed by Congress. In enacting the Controlled Substances Act, Congress determined that marijuana is a Schedule I controlled substance. Regardless of any changes in state law, including the change that will go into effect on December 10th in Colorado, growing, selling or possessing any amount of marijuana remains illegal under federal law. Members of the public are also advised to remember that it remains against federal law to bring any amount of marijuana onto federal property, including all federal buildings, national parks and forests, military installations, and courthouses." "The Colorado State Patrol would like to remind motorists that if you chose to consume marijuana and make the decision to drive that you are taking a huge risk," Wolfinbarger said. "Drivers must realize that if you are stopped by law enforcement officials and it is determined that your ability to operate a motor vehicle has been affected to the slightest degree by drugs or alcohol or both, you may be arrested and subjected to prosecution under Colorado's DUI/DUID laws. It is imperative that everyone takes responsibility for public safety when driving on Colorado's highways." While the implementation of regulations for marijuana commerce in Colorado and Washington is by no means assured, the legalization of pot possession in the two states is a done deal. And with it, a huge hole has been blown through the wall of marijuana prohibition. Since the election last month, public opinion polls have shown increasing support -- and in three out of four cases, majority support -- for marijuana legalization, as well as little patience for federal interference in states that have legalized. Marijuana prohibition may not be dead yet, but voters in Colorado and Washington have delivered a mortal blow. The clock is ticking. [T]he administration appears to have an open-and-shut case: Federal law trumps state law when the two contradict. What's more, the Supreme Court has spoken on marijuana law: In the 2005 case Gonzales v. Raich contesting medical marijuana in California, the court ruled that the federal government can regulate even tiny quantities of pot – including those grown and sold purely within state borders – because the drug is ultimately connected to interstate commerce. If the courts side with the administration, a judge could issue an immediate injunction blocking Washington and Colorado from regulating or taxing the growing and selling of pot – actions that would be considered trafficking under the Controlled Substances Act. But a former Bush administration official quoted in the New York Times on Thursday, former DOJ civil division head Gregory Katsas, made the opposite prediction. Katsas was "skeptical" that a preemption lawsuit would succeed, according to the Times. Why? Perhaps because it's not just that the feds can't force states to criminalize drug possession, as Kevin Sabet selectively pointed out to Dickinson. It's also the case that they probably can't directly force the states to criminalize sales either. The Controlled Substances Act in fact leans against federal preemption of state drug policy, as pointed out in a law professors brief on preemption submitted in a California case this year. Dickinson also pointed out that federal officials had used threats to prosecute state employees involved in implementing regulations for medical marijuana. In my opinion the US Attorney letters were deliberately vague -- scary enough to influence state officials, but in most if not all cases stopping short of explicitly making that threat. A better piece of evidence, I think, is that in 16 years of state medical marijuana laws, no federal prosecutor has ever tried to actually invalidate such a law in court, not even after the Raich ruling. Why not? They must not think they have a slam dunk case. And if preemption is not a slam dunk for medical marijuana, then it's not a slam dunk when it comes to legalization either, although there are additional arguments to throw against full legalization. The reality is that no one knows how this will turn out if it goes to court. Raich established that federal police agencies can use their powers in medical marijuana states to continue to criminalize marijuana federally, justified by the Interstate Commerce Clause. But that is not the same as having the power to forbid states from granting exceptions to the states' own anti-marijuana sales laws, which in legal terms is what the regulatory frameworks do, and plenty of smart lawyers are skeptical that they can do that. This is not a slam dunk either way. A slight majority of adults say the federal government should not attempt to enforce federal marijuana laws in states which have voted to legalize it, according to a new YouGov poll. Some 51% of respondents said the federal government should "exempt adults who follow state law from enforcement." The poll was conducted December 5 and 6 among 1,000 adults. It has a margin of error of +/- 3.4%. The poll comes as the Obama administration ponders how to respond to last month's passage of marijuana legalization measures Amendment 64 in Colorado and I-502 in Washington. While possession of up to an ounce by adults became legal last week in Washington and will become legal within weeks in Colorado, both states have a matter of months to come up with regulatory structures for commercial marijuana cultivation and distribution. There has been speculation that the administration may attempt to block the regulatory and tax components on the initiatives, but this poll suggest little support for that among the public. Fewer than one-third (30%) of respondents said the federal government should "enforce the drugs laws the same way it does in other states," while an unusually high 20% of respondents were not sure. This is the second poll this month to find a majority saying the question of legalization should be left to the states. A CBS News poll last week had 59% of respondents saying it should be up to the states. Like the YouGuv poll, this poll had only about one-third (34%) saying it should be up to the federal government. We noted this morning that marijuana is now legal in Washington State. (!) But what happens next? As WA press noted, federal authorities had no plans to intervene at this time -- the expected celebrations proceeded unmolested, at least we've not heard of any problems. Of course that's not what the feds would do. As we've noted here, most law enforcement is state and county and local -- federal arrests for marijuana possession are a rarity, and mostly occur in places like national parks that are specifically federally controlled. Thinkers within and without our movement have been speculating what the federal response might be and what options they will legally have at their disposal once the courts weigh in. "In enacting the Controlled Substances Act, Congress determined that marijuana is a Schedule I controlled substance," [Durkan] said. "Regardless of any changes in state law, including the change that will go into effect on December 6 in Washington State, growing, selling or possessing any amount of marijuana remains illegal under federal law." Can the government "preempt" the states' regulatory systems -- that is, not just raid marijuana stores if they choose to, but prevent the state from exempting any growers or distributors or sellers under state law? If they can, will that endanger the rest of the laws? The argument for that, Healy posits, would be that voters mightn't have passed the laws without the regulations. Do the state laws run afoul of our government's treaty obligations, particularly the 1961 Single Convention on Drugs? Many scholars are skeptical that a preemption challenge would succeed. Gregory Katsas, a DOJ official in the George W. Bush administration, pointed out to the Times that there is nothing in the laws that prevent the federal government from bringing marijuana cases in the states. The argument there is that the laws are not in "positive conflict" with the federal Controlled Substances Act (CSA), despite their clear "tension" with it. Several legal scholars submitted a brief in a California case on this subject earlier this year taking that viewpoint. My takeaway from the brief was that the feds might not be able to preempt even the regulatory portions of the laws, and would probably have to amend the CSA to have a chance. The very same law that would be invoked in a court case, is the same one at work in prohibition of medical marijuana. And in 16 years of state medical marijuana laws, including now 10 dispensary states, no federal prosecutor has sought to invalidate any of these laws in court. That suggests they are not confident of what their prospects would be. Regarding the treaties, my guess would be that the same reasons federal law might not preempt state marijuana legalization applies to the treaties too -- marijuana is still federally illegal. The treaties do seem to frown even legalized possession. But they explicitly allow for alternatives to criminalizing possession, such as health and education-based approaches -- which we don't have as much of as we should, but which we do have. So it's not clear that the treaties will be a problem either. All that said, we do not know what will happen, and Congress's power to regulate commerce is broad -- the pressure on the feds to do something is greater, and the set of arguments they can bring to court are more numerous. I am excited but also anxious about what may happen next. 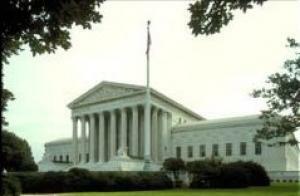 Are Amendment 64 and I-502 going to federal court? What will the courts say? Will the feds try to scare Washington and Colorado officials from implementing regulations -- will the states' governors stand up to them if they do, or will they seek delays as happened in a number of medical marijuana states? Will the federal raids being made against medical marijuana facilities be expanded when legalized marijuana stories eventually open? Such a strategy would be more effective in Washington, less so in Colorado where there will be more stores and where home growing is legal. But they can probably take down anyone in Colorado as they choose. Will there be threats to withhold highway funds over the laws, or law enforcement funds? Hopefully the Obama administration will finally choose to be on the right side of history on this issue. But we'll ses. What happens next? For now we wait -- I am nervous but also excited. 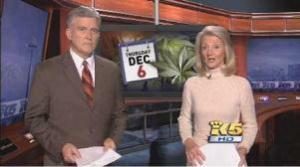 As of today, Thursday, December 6, 2012, marijuana possession is legal in the state of Washington. Under the I-502 initiative passed by the state's voters last month, adults 21 and older can now legally possess up to an ounce of marijuana (or 16 ounces of marijuana-infused edibles) without fear of arrest or criminal prosecution. The date comes just one day after the 80th anniversary of the end of alcohol Prohibition and could mark the beginning of the end for marijuana prohibition in the United States. Colorado voters also legalized marijuana, and it will be legal to possess an ounce there -- and grow up to six plants -- sometime between now and January 5, the last day the governor has to ratify the November election results. 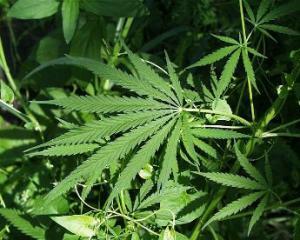 Alaska had been the only state to allow the possession of small amounts of marijuana. But, citing the state constitution's privacy protections, Alaska courts found that right only existed in the privacy of one's home. Emboldened by the popular vote in Colorado and Washington, legislators in at least four states so far have now filed or will soon file marijuana legalization bills, with more to follow. And in states where the initiative process is allowed, activists are chomping at the bit in a race to be the next to legalize it at the ballot box (although they may want to wait for 2016, when the presidential race increases liberal turnout). And a spate of public opinion polls released since the election show support for legalization nationwide now cracking the 50% barrier. While the federal government may attempt to block efforts to tax and regulate legal marijuana commerce in the two states, it cannot block them from removing marijuana offenses from their criminal codes. Nor can it make them reinstate them. News reports have noted that the federal government has no plans to intervene in Washington state's legalization today. I-502 isn't a free for all. It remains a criminal offense to grow or distribute marijuana, and the state-licensed producers and stores for legal cultivation and sales and regulations governing them are a year away. There is no way in the meanwhile to legally buy marijuana. You can't smoke it in public (though that proscription is unlikely to hold for today at least), or drive in a vehicle with a lit joint (an offense equivalent to open container laws). If you live or work on federal property, you are still subject to federal drug laws. And if you're under 21, you're out of luck. But, those caveats aside, pot possession is legal today in Washington, with sales and production coming, and that's a big deal. "Washington state and Colorado made history on Election Day by becoming not just the first two states in the country -- but the first political jurisdictions anywhere in the world -- to approve the legal regulation of marijuana," said Ethan Nadelmann, executive director of the Drug Policy Alliance. "The only way federal marijuana prohibition is going to end is by voters and legislators in other states doing just what folks in those two states just did." "This is incredibly significant," said freshly minted Marijuana Policy Project communications director Mason Tvert, who just took the job after leading the Colorado Amendment 64 campaign to victory. "This is having a major impact on public perceptions and is showing that times are changing and a majority of people in various areas are ready to take these steps." "This is the single most important event that has occurred in 75 year of marijuana prohibition," said Keith Stroup, founder and currently counsel for NORML, the National Organization for the Reform of Marijuana Laws. "The change in the perception of what is possible has been dramatic. Now, elected officials and state legislatures all over the country are honestly considering the option of tax and regulate where before November that was generally perceived as a radical proposal." The election results are shifting the parameters of the discussion, the silver-haired attorney and activist said. "Several states are considering full legalization now, and that makes decriminalization sound like a moderate step, which could work in a lot of Southern and Midwestern states where they're perhaps not quite ready yet to set up a regulated market," Stroup pointed out. "The context of the public policy debate has totally changed as a result of Colorado and Washington. It's as dramatic as anything I've witnessed in my lifetime." While reformers are elated, author and marijuana scholar Martin Lee had a slightly more sober assessment. "It's way too early to tell whether I-502 in Washington state signals the death knell of marijuana prohibition in the United States," said Lee, who recently published Smoke Signals: A Social History of Marijuana -- Medical, Recreational, and Scientific. "The cultural momentum in the United States favors marijuana legalization, but the political response, thus far, has been lagging," Lee noted. "Political change can sometimes happen very quickly -- think of the sudden demise of Soviet Bloc Communism after the Berlin Wall unexpectedly toppled in 1989. Swift, dramatic change seems possible with respect to cannabis prohibition, which is based on lies and could collapse like a house of cards. But powerful political interests in the United States -- in particular law enforcement -- have long benefited from the war on drugs and they are reluctant to throw in the towel." Lee also raised the specter of law enforcement retaliation, especially against some of its easiest targets. "My biggest concern is that the new state law in Washington will do little to prevent or discourage law enforcement from selectively targeting and harassing young people, especially young African-Americans and Latinos. Racial profiling is endemic in Washington state and throughout the United States," he said. "It's also disconcerting that I-502 includes a zero tolerance provision for under 21-year-old drivers, who could be punished severely if blood tests show any trace of THC metabolites (breakdown products) in their system. Because THC metabolites can remain in the body for four weeks or longer, blood and urine tests for marijuana can't measure impairment. What's to stop law enforcement in Washington from randomly testing and arresting minority youth under the guise of public safety?" It remains to be seen just how the DUID provision will work out, either for young drivers or for drivers over 21, who face a presumption of impaired driving if THC levels are over a specified standard. The record from other states with either zero tolerance or per se DUID laws suggest they make little difference in DUID arrest rates, perhaps because of probable cause standards needed to conduct blood tests or the time and complexity involved in doing so. Regardless of valid concerns, the fact remains that the wall of marijuana prohibition in the US has just had a huge hole punched in it. And the margins of victory in Colorado and Washington -- each initiative won with 55% of the vote -- leave breathing room for activists in other states to consider not including such controversial provisions, which were seen by proponents as necessary to actually win the vote. As veteran activist Stroup put it, despite the contentiousness and the sops to the opposition, for marijuana activists, "This is a great time to be alive. I wish folks like Mezz Mezrow, Louis Armstrong, and Allen Ginsberg, who helped form LEMAR (Legalize Marijuana), then Amorphia, which morphed into NORML, could have been around to see this." While Stroup took a moment to look backward, DPA's Nadelmann was looking forward. "Now, the race is on as to who will be first to leapfrog the Dutch and implement a full legal regulatory system for marijuana: Washington, Colorado or Uruguay!” he told the Chronicle. There is a third poll in the past few days suggesting that Americans' attitudes toward marijuana legalization have reached the tipping point, if not toppled over it. A survey conducted over the weekend by Public Policy Polling (PPP) finds a record high 58% of respondents think pot should be legal, while only 39% think it should not. That finding comes on the heels of a CBS News poll showing the highest support for legalization since it starting asking the question (although still not quite over the top at 47%) and an Angus-Reid poll that had support for legalization at 54%. It also comes just days before Americans are confronted with the reality of legal marijuana in one of the two states that legalized it last month. On Thursday, the provision of Washington's I-502 initiative allowing the adult possession of up to an ounce of marijuana goes into effect. The possession (and cultivation) provisions of Colorado's Amendment 64 will go into effect days later, by January 5 at the latest. In the PPP poll, 33% of respondents felt "strongly" that marijuana should be legal, while another 25% agreed, but didn't feel strongly about it. Taking the two together, that's 58% in support of freeing the weed. Poll respondents also wanted the federal government to allow Colorado and Washington to chart their own paths on marijuana (47%), with only one-third (33%) calling for the federal government to intervene. And a slight plurality (45%) said marijuana was safer than alcohol, while 42% said it was not safer. There were few surprises in the cross-tabs. Support for legalization was stronger among men (62%) than among women (54%) and stronger among Democrats (68%) and independents (59%) than among Republicans (42%). Somewhat surprisingly, Hispanics reported stronger support for legalization (61%) than blacks (56%) or whites (55%). There was majority support for legalization among voters under 45, but not over. Still, even among the older folks, there was 47% support among 45-to-64-year-olds and 48% for the above-65 set. It didn't take long. Voters in California last month approved Proposition 36, which amends the state's draconian Three Strikes law to require that a third strike be a serious or violent felony, and last week, the first person to be released under the initiative walked out of prison. Kenneth Corley, 62, had been sentenced to 25 years to life in prison in 1996 after being convicted of drug possession for sale. His previous two felony "strikes" were convictions for burglary and attempted burglary. Per Prop 36, he was entitled to seek resentencing, and a San Diego judge resentenced him to 15 years and ordered him released with time served. Thousands of inmates are doing decades in prison under the state's Three Strikes law, which until it was amended last month by voters, allowed sentences of up to life for a third felony offense even if the crime was something as trivial as drug possession or stealing a pizza. 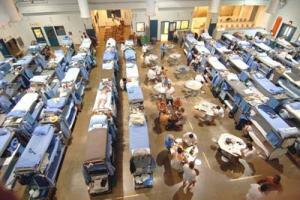 Not all inmates eligible to seek sentence reductions under Prop 36 will get them. Judges reviewing their cases are required to decide whether releasing them would present a risk to public safety. If so, they will not get a sentence reduction. But the new law should still benefit thousands of other Three Strikes prisoners, as well as preventing people who committed trivial third felonies from being sentenced under the law.